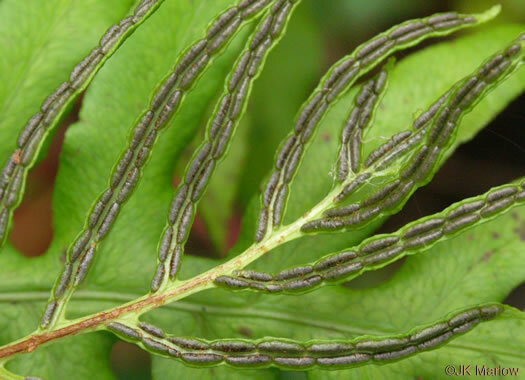 Your search found 6 image(s) of fertile fronds of Netted Chain Fern and Sensitive Fern. 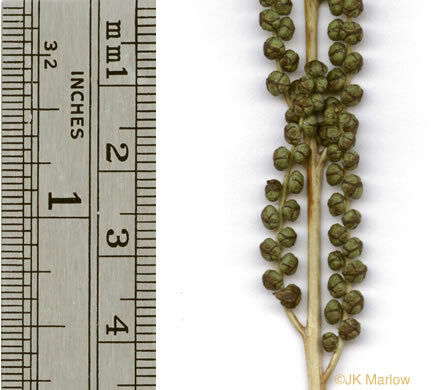 Pinnae of fertile blade erect, 2-7cm long, per Field Guide to the Ferns and Other Pteridophytes of Georgia. Fertile leaves are much reduced, but taller, narrower, and twice-pinnate, per Ferns of the Smokies. 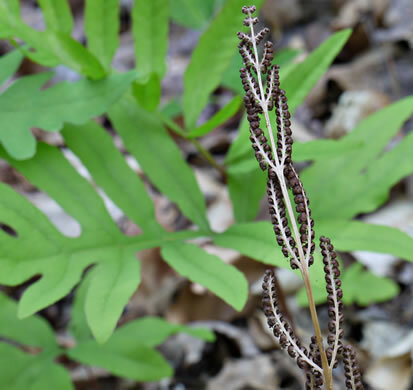 Fertile leaves' pinna lobes tightly rolled around the sori, "beadlike", per Ferns of the Smokies. 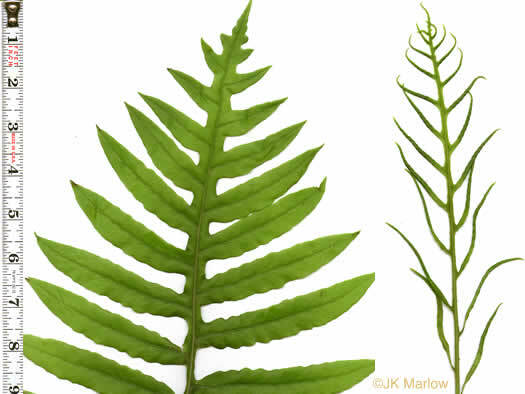 Sori are large, elongate, and in two chains like links of sausage, per Ferns of the Smokies. 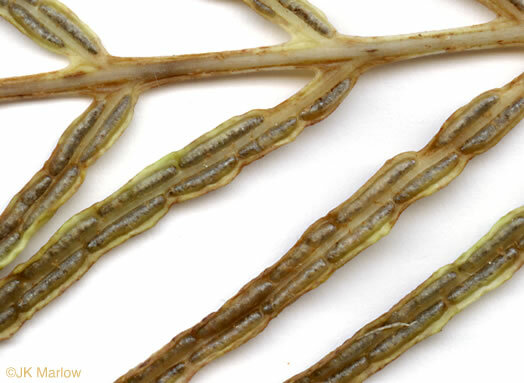 Pinnae of fertile leaves with 2 rows of linear sori; indusia firm & persistent, per Vascular Flora of the Carolinas.